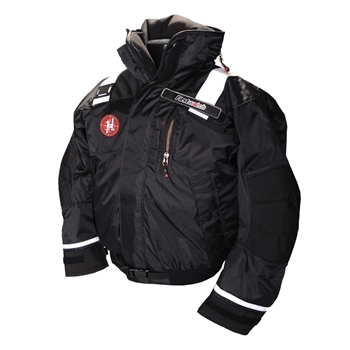 Sometimes safety just looks great, and our Flotation Bomber Jacket is the perfect example. This great-looking bomber coat fits and feels like a high-performance outdoor jacket, but it's actually a Type III PFD. 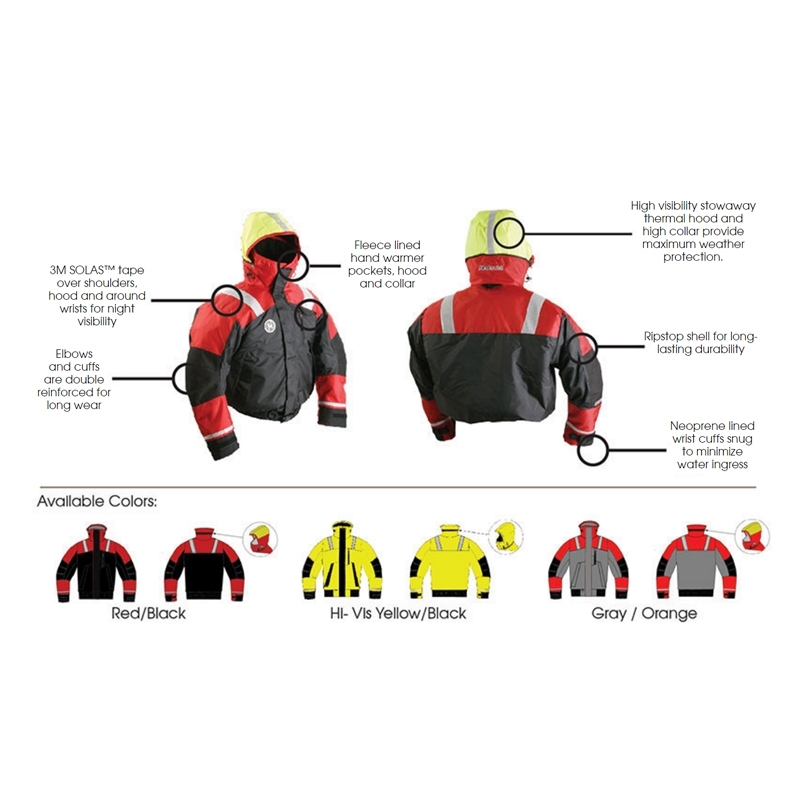 A foam-lined hood, fleece hand-warmer pockets, neoprene-lined cuffs and SOLAS reflective tape add comfort and safety. Reinforced elbows and cuffs pair with articulated arm design for an ergonomic fit, and allow the suit to move with your body. The coat features a name badge strip over the left breast, and its extra-rugged rip-stop nylon shell provides uncompromising durability.